If you have not seen Inside Out yet, you are missing out!! 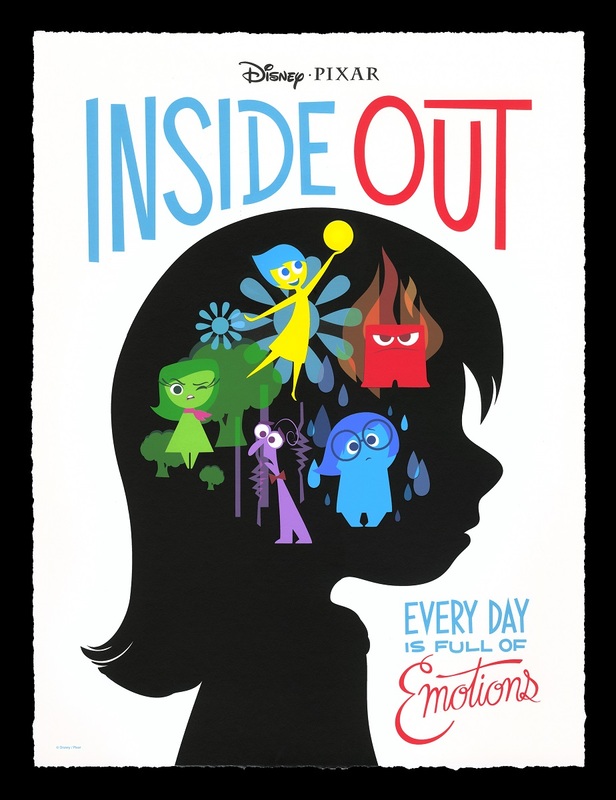 Inside Out Synopsis: This is a movie that takes us through the journey that Riley (main character) is going through with all of her emotions as her family moves to a new city. Her emotions struggle to determine the best way for Riley to accustom to her new place. Joy, Sadness, Anger, Disgust, and Fear must figure out how to create a great life for Riley. Here's what I thought: Inside Out is an amazing movie for kids and adults. Heck, even I feel like I understand my emotions better. It is believed that this movie while combining humor and realistic situations can help children understand and express themselves better. This movie gives kids something to identify emotions with not just words that they might not understand the meaning to. Disney Pixar really thought of all the details here. Between imaginary friends, core memories, and long term memory, Disney Pixar didn't miss a beat. I especially appreciated the personality islands they had included in the movie. It's a great concept of having a goofball island that brings out Riley's goofy side. The display of these in the movie shows kids that they don't have to be just one person which I think is particularly important. They don't have to be just the funny one they can be the creative one or hockey lover too. The way they depicted all of the emotions I found to be particularly cute. Anger was literally hot headed and Joy sparkled all of the time. I can truly relate to Sadness as sometimes I am too sad to walk too. The star studded cast nailed all of the emotions and voices (great cast Pixar)! I truly loved the wonderland they made for this movie. One of my favorite parts is when the workers keep replaying the gum commercial randomly in Riley's head. It cracked me up every time and it's oddly easily to relate to. I loved the incorporation of the Train of Thought and how they filmed all of her dreams as if on a movie set. Pixar could really take this somewhere with an online interactive adventure through Riley's mind. So much to do and so little time! Good luck to Pixar as they ride out the rest of this adventure. Bonus: The short before this movie is incredibly cute! (I may have even teared up a little). I hope you enjoy this review! I would happily rate this movie 10/10 and I think Joy would too! Thanks for stopping by and tell me what you thought of this movie in the comments!